Our events are open to the public. Contact a Master Gardener Officer to confirm dates/places of events. 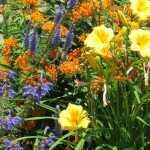 Visit http://grantcountymastergardeners.weebly.com/ for events. Details are posted under the “current event registrations” on the side menu.